Part of making any type of content is to make sure it is sustainable and consistent. We have to make money out of it simply because we cannot eat or drink Facebook shares and Twitter favorites. Sure, content fuels your business and reputation but to operate and expand you need to create healthy sources of constant revenue so that you can continue doing that awesome job. Below I’ve shared a list of 8 of the best ad management wordpress plugins that will help webmasters/web publishers/bloggers monetize their websites without interrupting the flow of content on their website. But don’t take my word for it. Read the user reviews (available on the Download page) on their respective pages and see for yourself. Note: The list is segregated into Established Players (who have been there for quite some time) and New Players (upcoming stars). Ads Injection has already been in the market for quite a bit of time and most bloggers/publishers/webmasters are already using it to boost their website’s monetization. Ad Injection basically manages the banner ads on your website. Now given the recent negative coverage banner ads have gotten; the fact still remains that more than 50% of online publishers still use them on their website because it helps make them money. Ad Injection facilitates you to place your ads above, middle or bottom of the fold and even on sidebars/widgets. 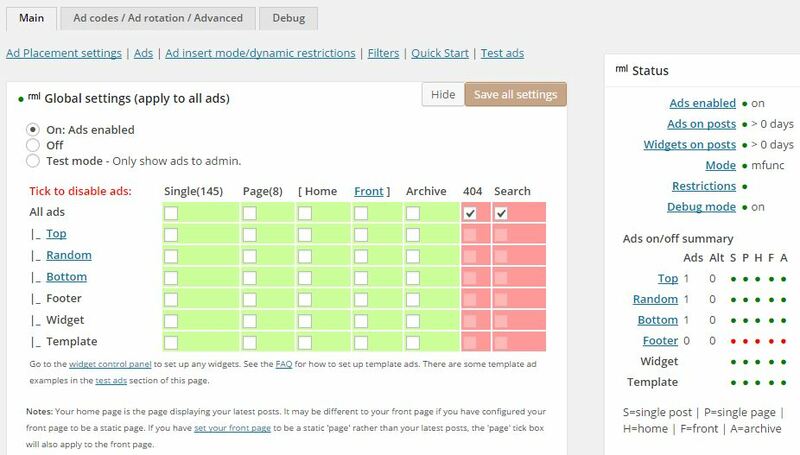 It gives you control on the number of adverts you want on your page. You can also A/B test advert spots to see which one is performing better. Wpstuff.com wrote a brilliant and detailed post on how to effectively implement Ad Injection into your content. However, the only drawback that we could find with this wordpress plugin is that it is very powerful and therefore for advanced users only. AdRotate manages to impress new users right from with its stellar download numbers to its user friendly interface. It helps you in adding single or multiple ads on your website through its engaging dashboard. You can control the Geo-location of the adverts which help in more precise user targeting. It also features access to simple analytics which show you which ads are performing well/bad, daily/monthly stats, track banner clicks and click through ratio. The only drawback is that the free version comes with more-than-necessary disabled options which almost makes its use quite restrained. I understand that developers have to make money too but some options concerning reporting and planning should have been allowed to make the plugin more controllable and productive. 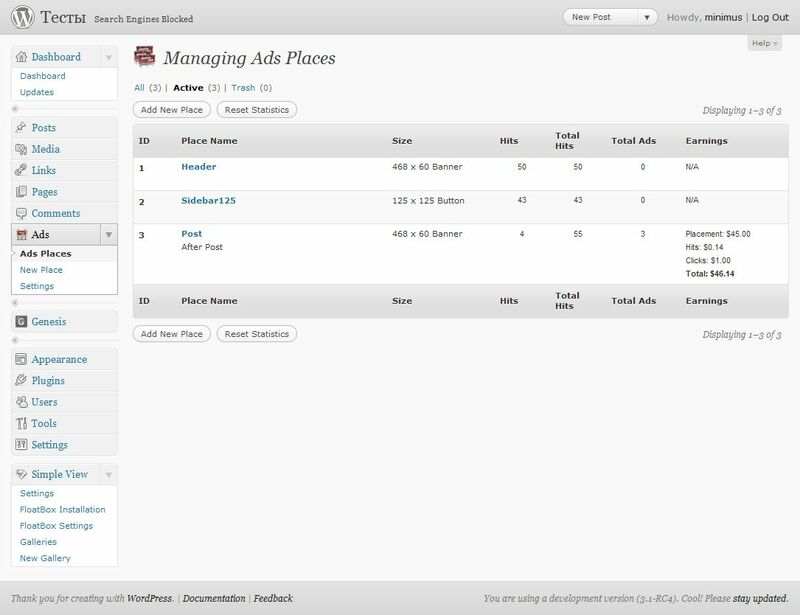 Simple Ads Manager is another ad rotation and optimization plugin popular in the current plugin market right now. Once the weight of each ad space is determined by creating groups, the plugin then rotates ads with a predefined yet flexible logic – meaning you can change it to suit your needs.The rationale is to show adds that perform or which have been customized by the user. WP-Insert markets itself as “The ultimate wordpress plugin (No1 Adsense Plugin for WordPress)“. It has the capability to manage your adverts, integrated Google Analytics or other legal tracking scripts that you have incorporated within your page. Some of its noticeable and extra feature include. “All these features in an easy to use and novice user friendly interface which can still cater to the geekiest of webmasters.” I agree. So in all the plugins mentioned in this blog, Quick Adsense leads in respect to the sheer number of downloads. It comes with a very simple interface which helps you inject ads into the page immediately with no overwhelming settings. Generally, the plugin randomly puts ads across your blog with the rationale being that it will catch the attention of the regular visitor and help fight banner blindness. The author does not share any of your Adsense revenue, so don’t worry about that. Other features include default ad positioning, fixed/random ad positioning, display upto 10 ads, simple configuration with no coding skills required. It’s it simplicity and ease of use that works very well for Quick Adsense. It is a tool made by publisher for other publishers who faced the same setbacks as him. A unique feature that the plugin has is a user friendly ad optimization and testing option. 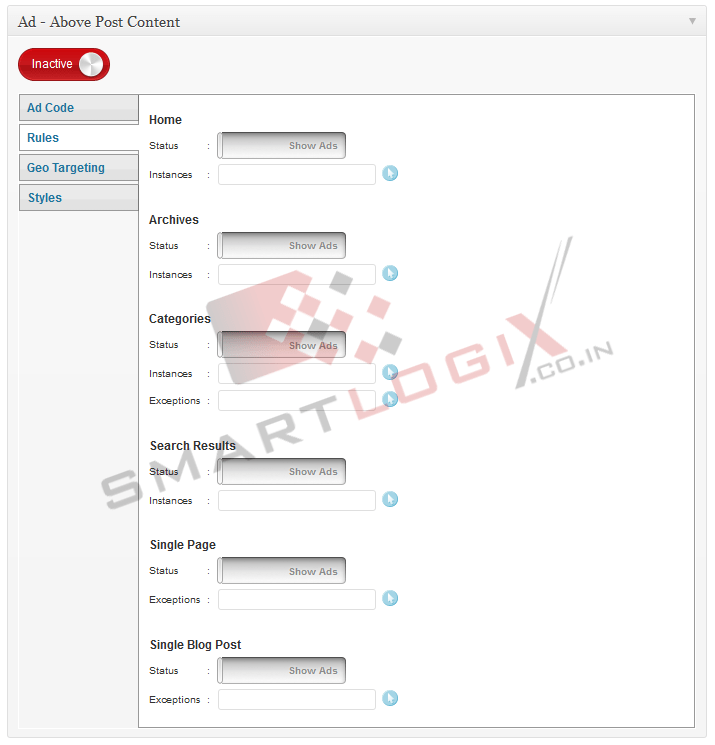 Other features include multiple ad networks, ad rotation and check ad conditions (how is each ad performing on a page). Definitely a tool worthy of a try given that it is a powerful yet light weight ad management solution. TrenDemon are underdogs climbing the ladder of success and I’ll admit I do not have much information about them. However, the customer success stories (case studies) on their website does evoke considerable confidence in their claim as a “revenue booster“. For publishers, they help increase monetization, pageviews and engagement thereby affecting your banner adverts click through rate (CTR). Eligible publishers can also monetize on TrenDemon’s Media Exchange Network via sponsored content. 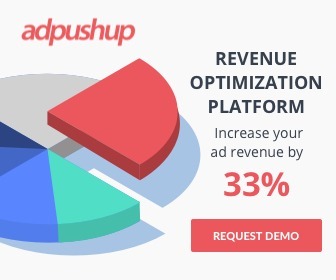 AdPushup is an AdSense revenue optimization tool which can help publishers & bloggers make more money from their existing website traffic using advanced automated A/B testing without the need for any programming knowledge. Below is a small video on what our application does. We admit the video is a bit choppy and unpolished.We’ll update it as soon as possible. Disclaimer: You are reading this on the AdPushup blog and we want you to know that we are awesome too.